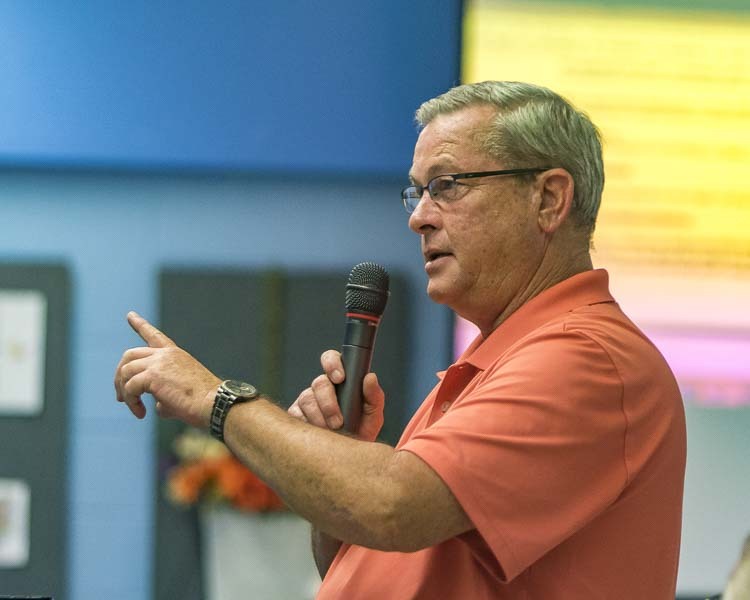 LA CENTER — Members of the La Center City Council approved a separation agreement between the city and former Public Works Director Jeff Sarvis at a meeting July 25. Sarvis had been on leave from his position with the city for approximately two months, using accrued executive paid time off and vacation time to be away from his job. As part of the separation agreement, he offered his resignation to the city and signed the separation agreement on July 20. 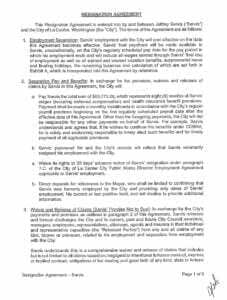 After the members of the council approved the agreement, La Center Mayor Greg Thornton signed the agreement on July 26. According to Thornton, Sarvis accepted a position with the city of Winthrop, located in the northeast area of Washington in Okanogan County with a population of 394 residents (2010 census). also receive health insurance benefit premiums during that time. 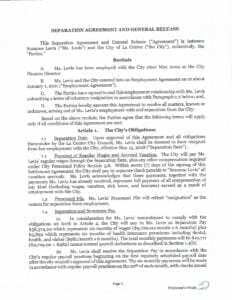 The agreement also states that Sarvis’ personnel file and the city’s records will reflect that he voluntarily resigned his employment with the city. Sarvis also releases and forever discharges the city from any and all future claims. Levis Separation Agreement. Click to open PDF. 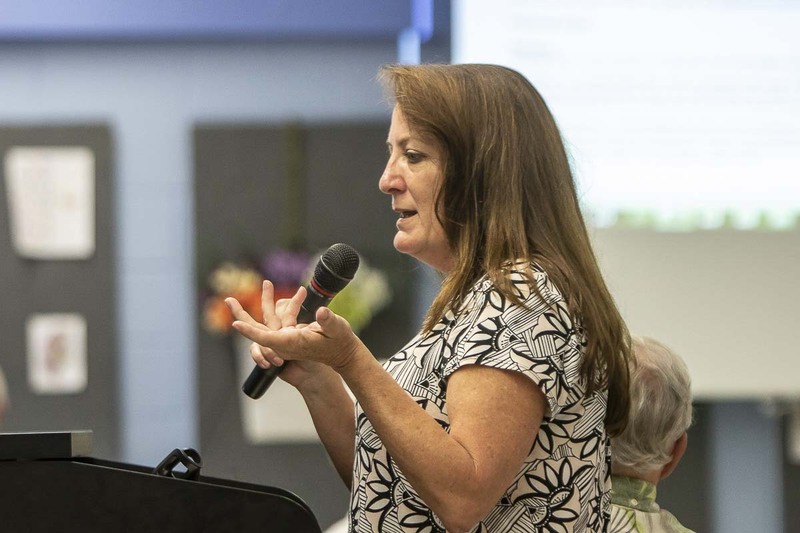 Sarvis’ departure follows that of former Finance Director Suzanne Levis, who reached a similar agreement with the city in May. Levis’ resignation was dated May 15 after she had been placed on administrative leave two months prior. The departures of both Sarvis and Levis came after an investigation into their performance was completed on Feb. 26, 2018. Sarvis and Levis lived together for many years while serving as the city’s two key department heads. Sources told ClarkCountyToday.com the two married after leaving their positions and prior to reaching separation agreements with the city. The recent investigation of the performance of the two department heads was the second in a four-year period. The two were central figures in a report written in May 2013 by then-Interim La Center Police Chief Erin Nolan. 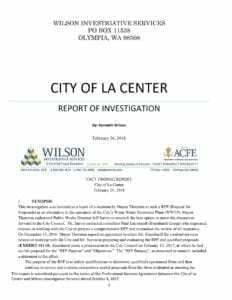 Nolan’s report included claims by La Center employees that the department heads were responsible for contributing to a hostile workplace. The employees interviewed by Nolan also raised concerns that Levis and Sarvis held an unhealthy influence over then-Mayor Jim Irish. After several months of public outcry, Irish reversed his position and ordered an investigation by a private investigator from Kirkland, whose report found no conclusions of guilt on the parts of Levis and Sarvis and the matter was dropped. The investigation was initiated as a result of a decision by Thornton in 2016 to seek a Request for Proposal (RFP) as an alternative to the operation of the city’s Waste Water Treatment Plant (WWTP). Thornton authorized Sarvis to research the best option to move the discussion forward to the members of the La Center City Council. On Dec. 13, 2016, the mayor signed an agreement with consultant Paul Eisenhardt (of the Eisenhardt Group) to work with the city to prepare a comprehensive RFP and to conduct a review of all responses. Eisenhardt worked with Levis, in addition to Sarvis, and eventually presented the RFP to members of the council on Feb. 13, 2017 and bids were received by private contractors who were seeking to have their bids accepted to operate the WWTP. On July 26, 2017, members of the council voted 3-2 not to award the contract to any of the bidders, instead leaving its operation to the city of La Center. Wilson’s investigation was to determine what, if any, impact Sarvis and Levis had on the process. Several sources told ClarkCountyToday.com, both then and now, that Sarvis and Levis, were against the mayor’s attempts at a public-private partnership agreement to operate the WWTP. Thornton said the city is currently reviewing about 75 applicants for the position of finance director. “We’re confident we can find a good match there,’’ Thornton said. Thornton also told ClarkCountyToday.com that he doesn’t plan to fill the public works director position. Instead, he intends to have the city pursue a community development director, which is already in the budget for 2018. The community development director will be responsible for attracting more businesses to the city, likely on city-owned land near the La Center/Interstate 5 junction. Thornton said that is needed to reduce the city’s dependence on revenue it receives from gambling taxes on its existing cardrooms.